We had originally been using a laptop computer for boat navigation but with the addition of the Pactor modem for HF Radio email I wanted to switch to a dedicated 12 volt computer. 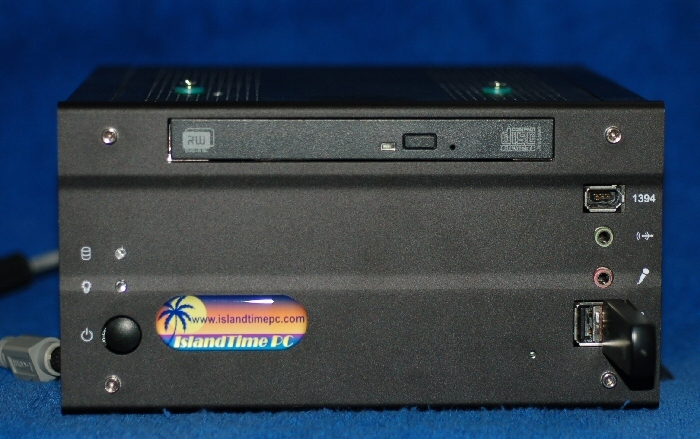 I considered putting a system together from scratch but decided to purchase a small footprint DC system from Island Time PC’s. The computer is 8″H x 8″D x 4″H and includes a DVD Burner, 6 USB Ports and 4 Serial RS-232 Ports. Since the PC is installed under the nav station I modified it so that I could remote the power on switch and LED and the disc drive activity LED. 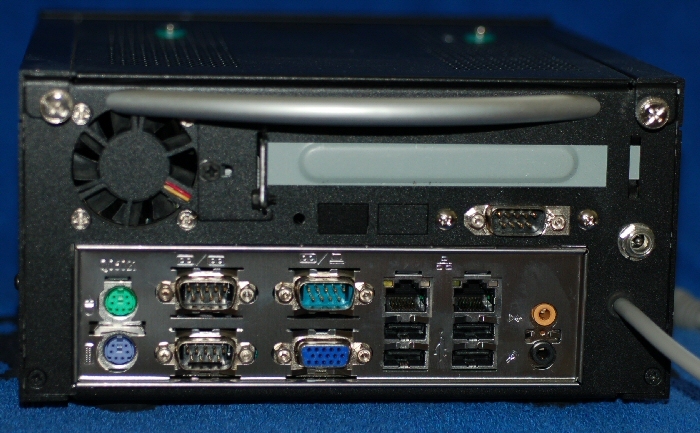 Rear view of the PC showing serial ports, USB ports, etc. The small gray cable at the right rear corner is a remote cable that I installed. This cable connects the hard drive activity led, power on switch, power on led, and the reset switch to my remote panel.